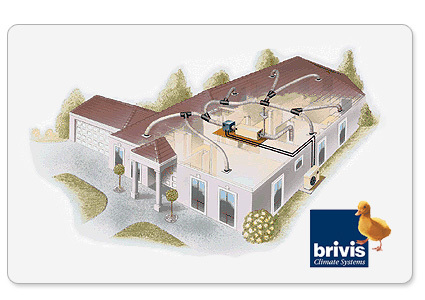 An add-on system is an addition to an existing or new gas heating system. It utilises the fan from the heater to force air through a refrigerated coil located in the ductwork which cools the air that is distributed throughout the home or office. The coil is connected to an outdoor condenser by pipes carrying refrigerant. Note: The fan and ductwork must be large enough to support an add-on system.